Manage from anywhere in the world: Control your irrigation system from your phone, tablet, or web browser any time, anywhere worldwide. Remote access allows you to view, manage, and monitor your irrigation controller. 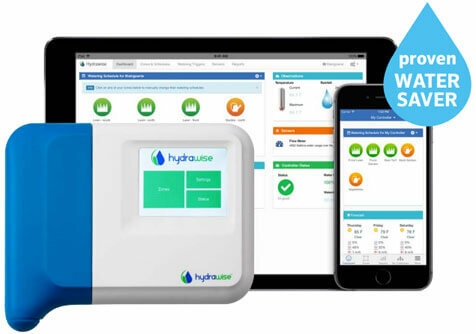 Save water: Hydrawise™ uses Predictive Watering™ to adjust your sprinkler's watering schedule based on local weather forcast. Save water by automatically managing water use based on tempurature, predicted rainfall or actual rainfall. You are not only saving water, you are saving your plants by giving them exactly the amount of water they need. NO MORE WASTED WATER. NO MORE DEAD PLANTS. Know your water usage: The Hydrawise™ interface allows you to view the water usage for each watering cycle. Set up app notifications or SMS text alerts for instant notice when a zone's water usage is abnormal. Save time and money: Use your mobile device or computer to access our easy-to-use interface. You decide your watering needs and Hydrawise™ will take care if the rest. Know immediately when there is an issue. Easy to upgrade: The revolutionary HPC face panel brings the Pro-C controller that you know and trust into the world of Wi-Fi irrigation management — with no re-installation or rewiring required. Perfect for retrofitting modular and fixed station controllers manufactured since March 2014 or for new installations that demand modular functionality. The HPC retro fit face panel gives you and Daily Rain another powerful tool to save time, save water, and protect your landscapes. Schedule An Appointment with Daily Rain today to learn how you can maximize your system's performance to save both water and money! These plan options only applicable to customers with existing Hunter Wi-Fi controller. 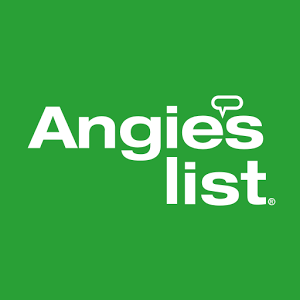 *Alerts requiring a service call are charged at only $50 per call versus the standard $75 and labor rates apply upon arrival. 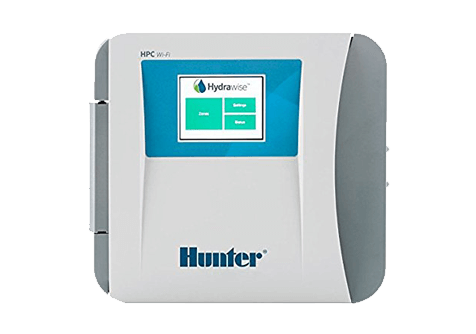 Daily Rain installs Hunter touchscreen HC Controllers as the best choice on the market for efficient and reliable predictive watering and Wi-Fi access. Daily Rain can easily swap out the dial face panel on any Pro-C with the new touch-screen HPC, and you have an economical and effective way to take advantage of the 21st-century tools now available. 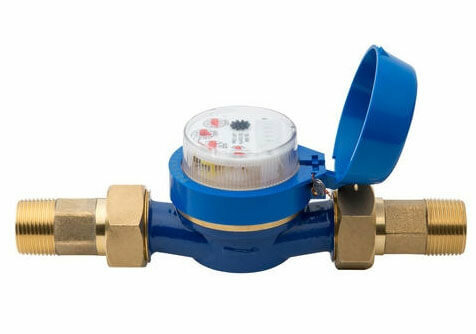 Daily Rain installed Hunter HC Flow Meters allow you to detect broken pipes, spray heads, and faulty wiring or valves.